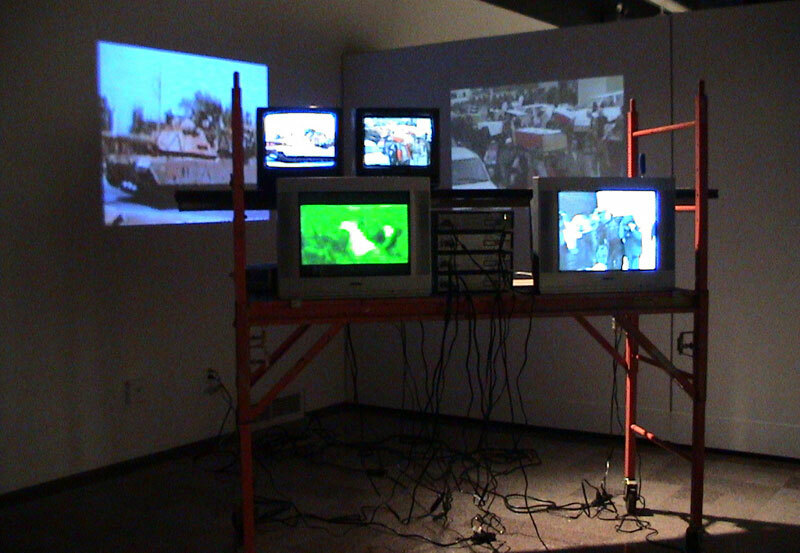 Four channel video installation, with sound. Image in each projection is repeated in small monitors. This installation deals with the current situation and the prevailing war and violence in the international context. It is based on the warlike and aggressive attitude of the USA and it combines footage from several documentary films to create four parallel “narratives”.